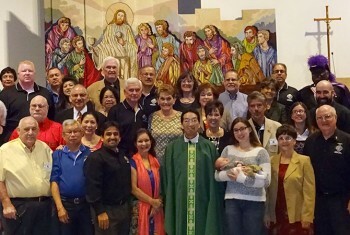 Some of the clergy and guests posing during a photo op. 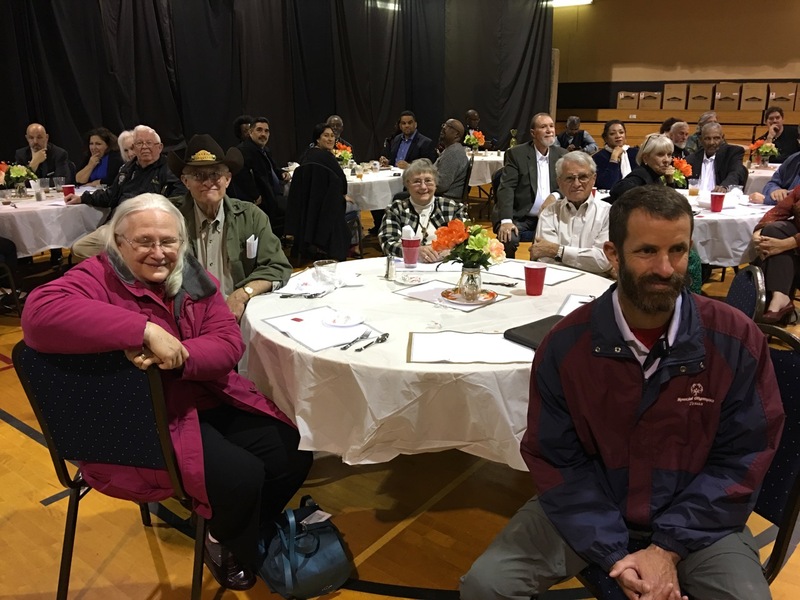 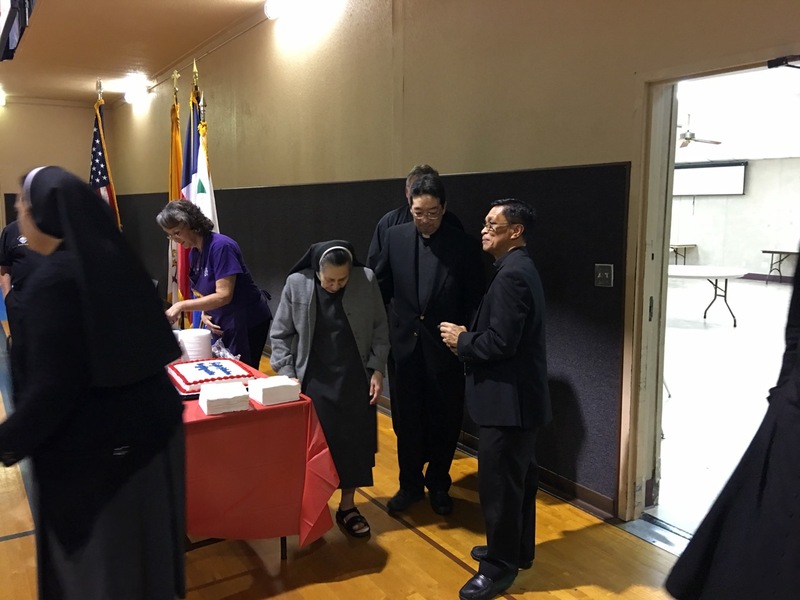 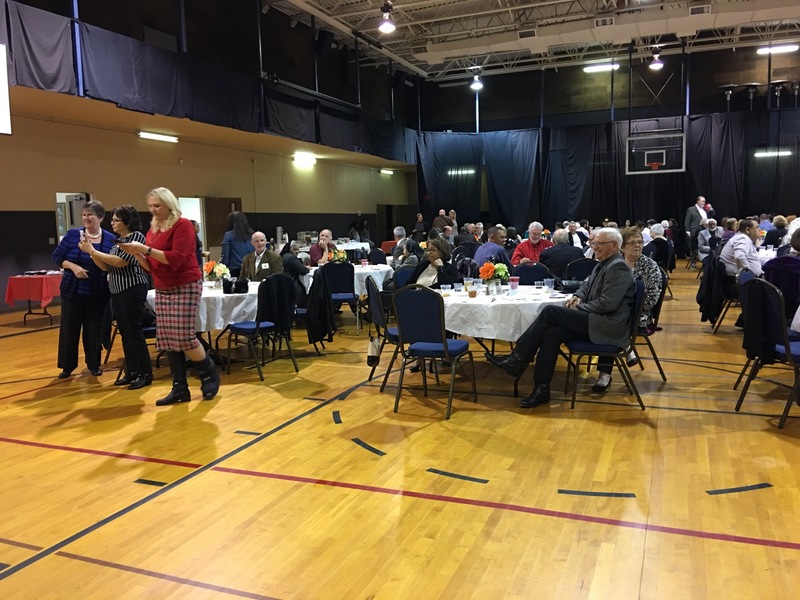 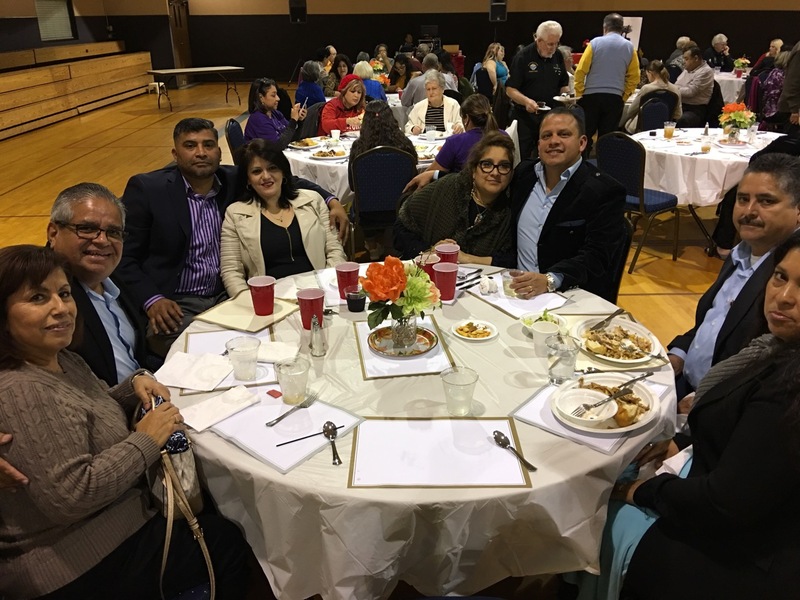 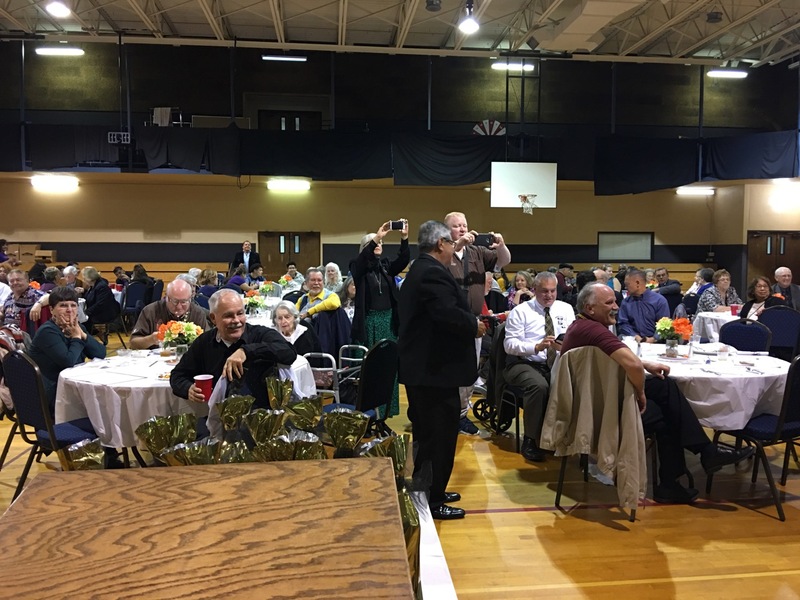 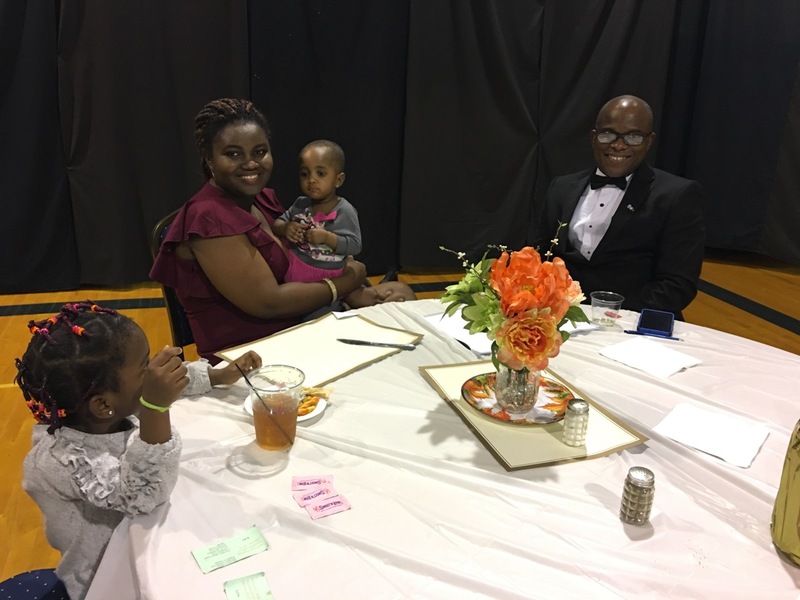 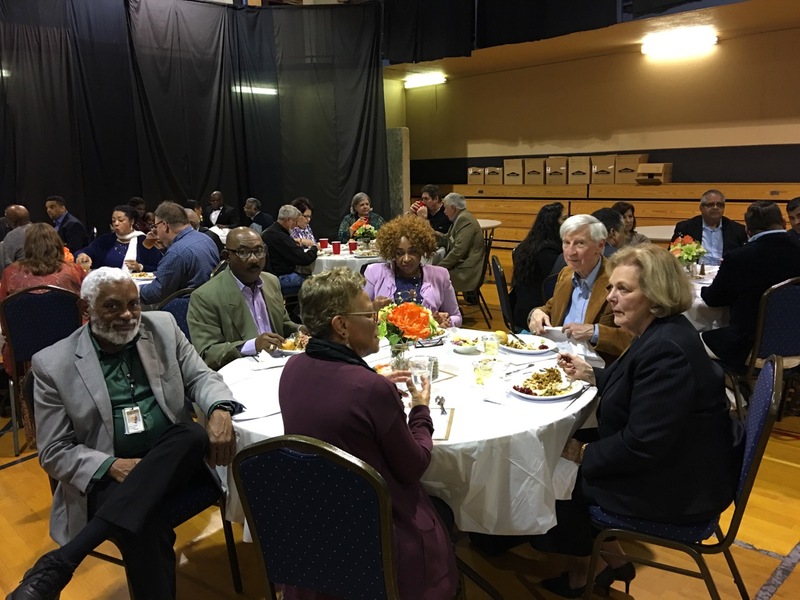 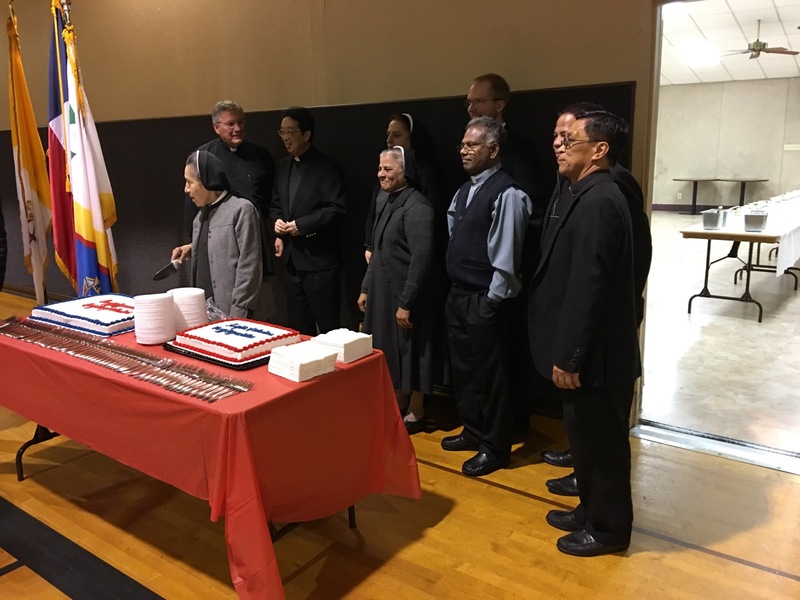 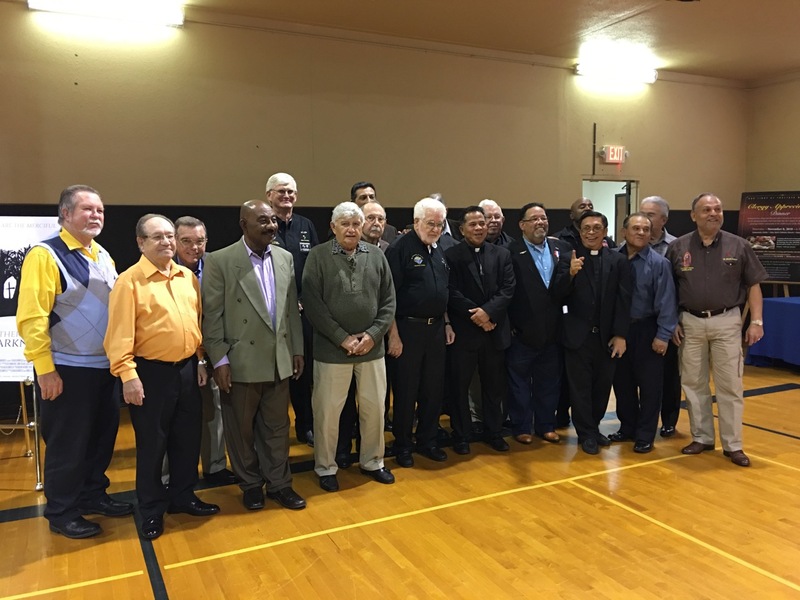 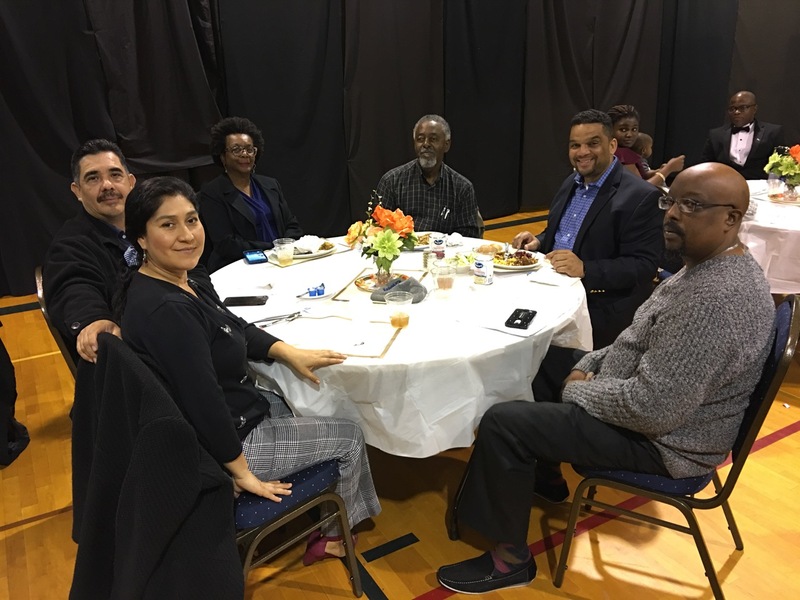 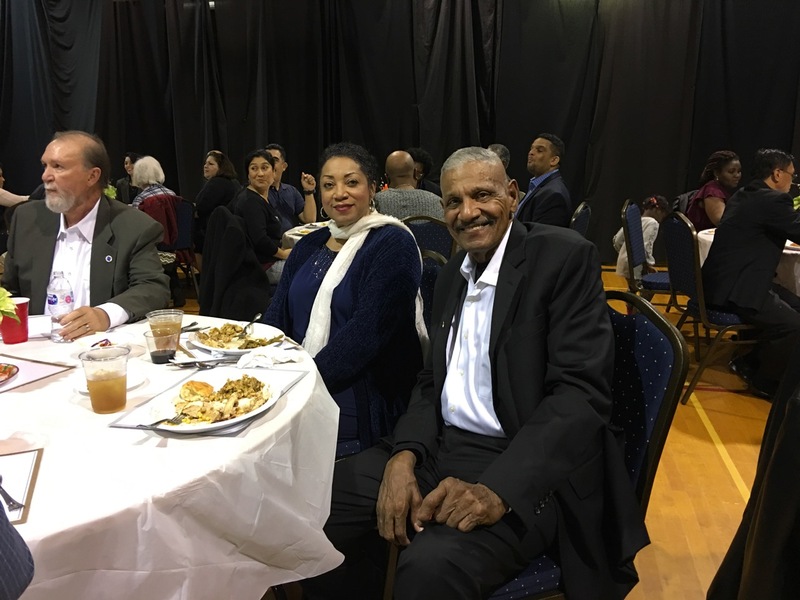 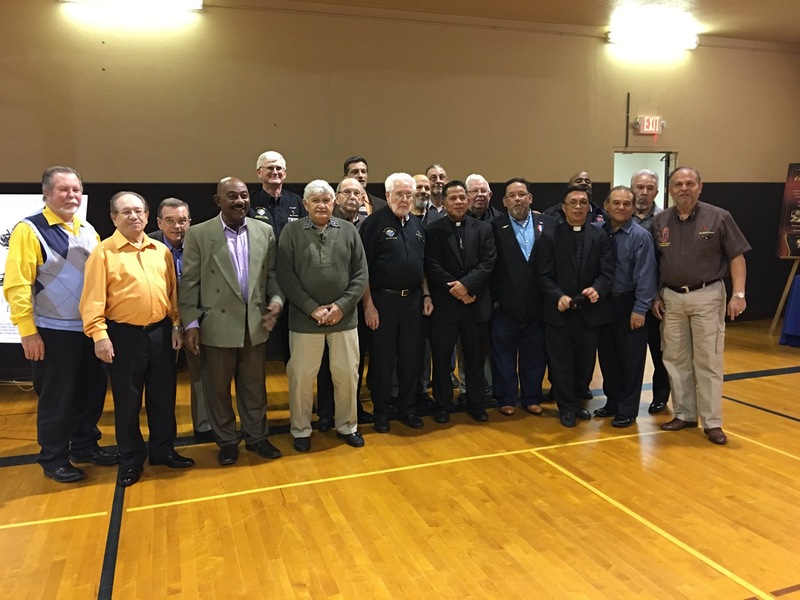 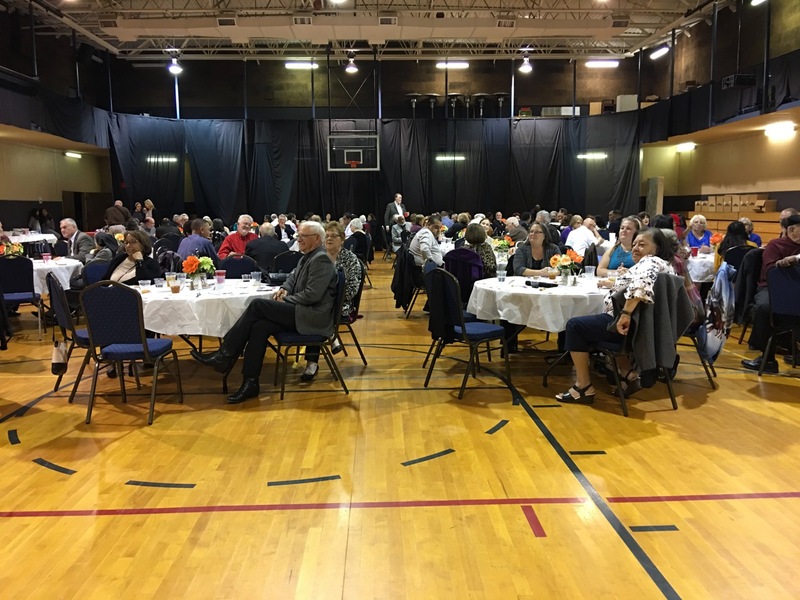 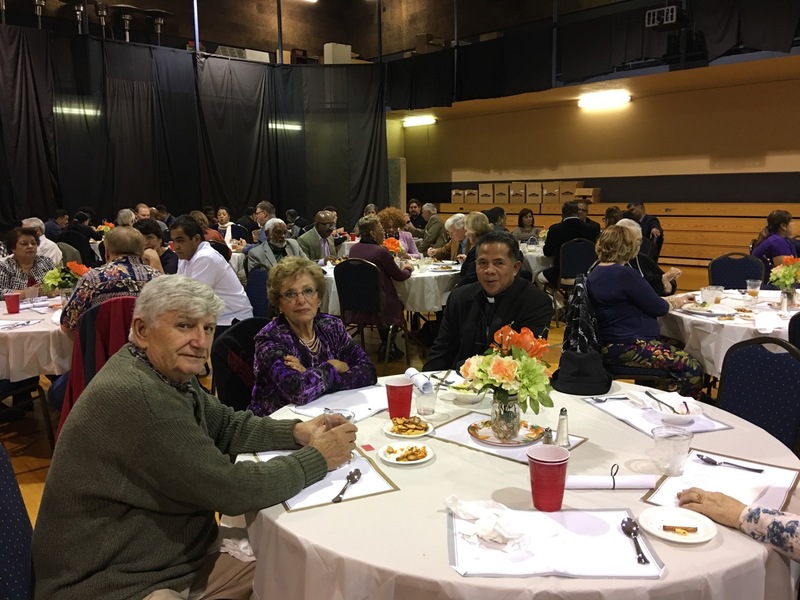 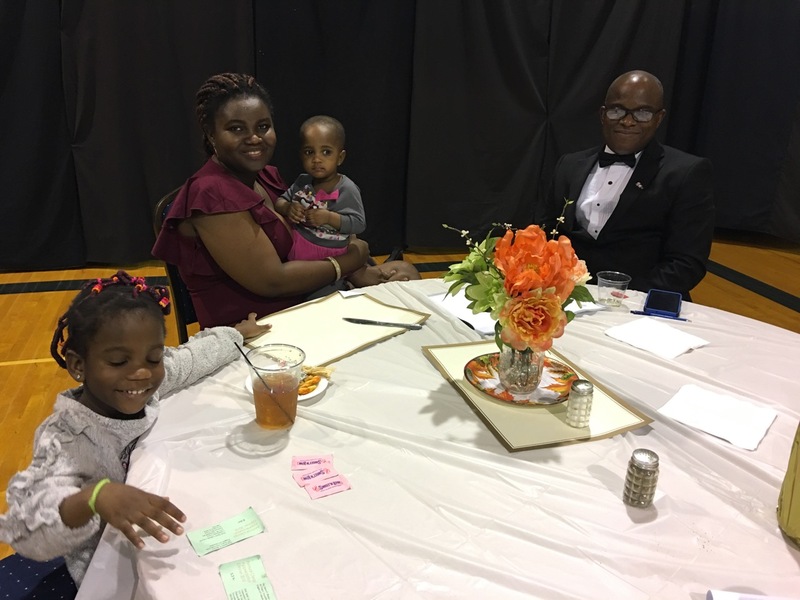 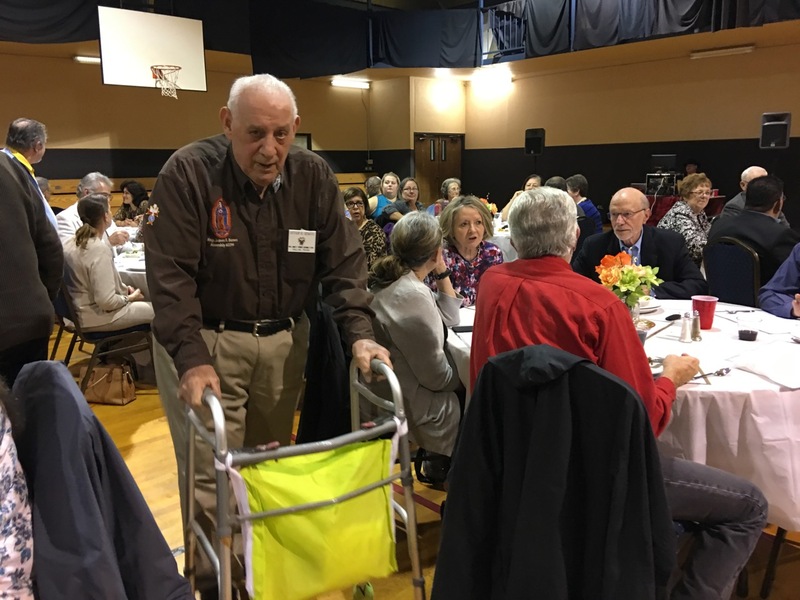 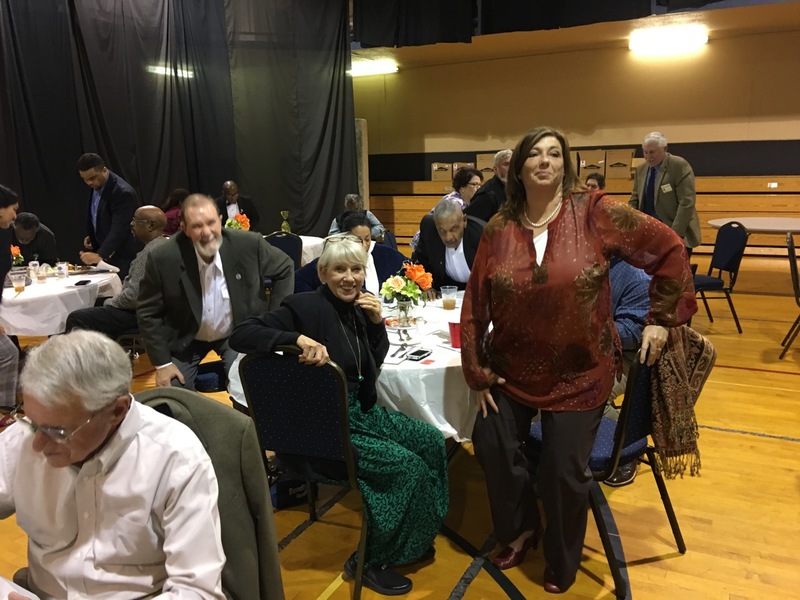 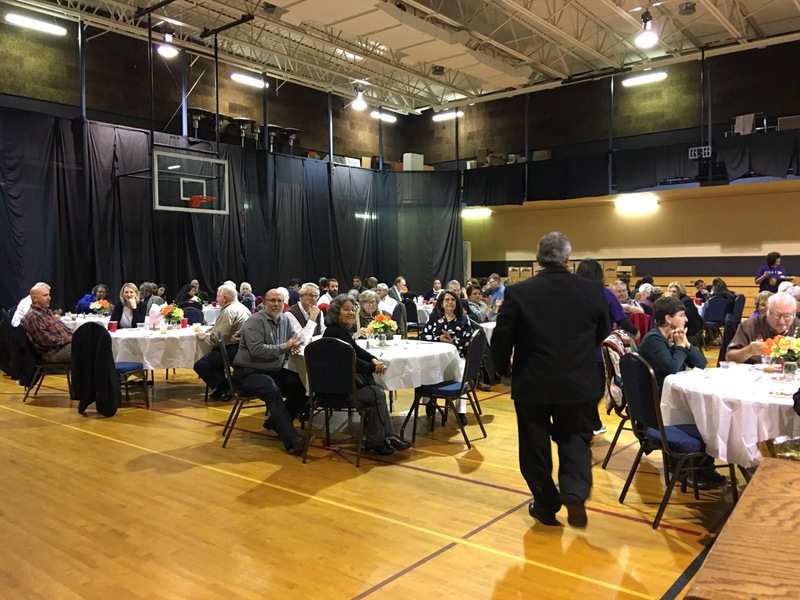 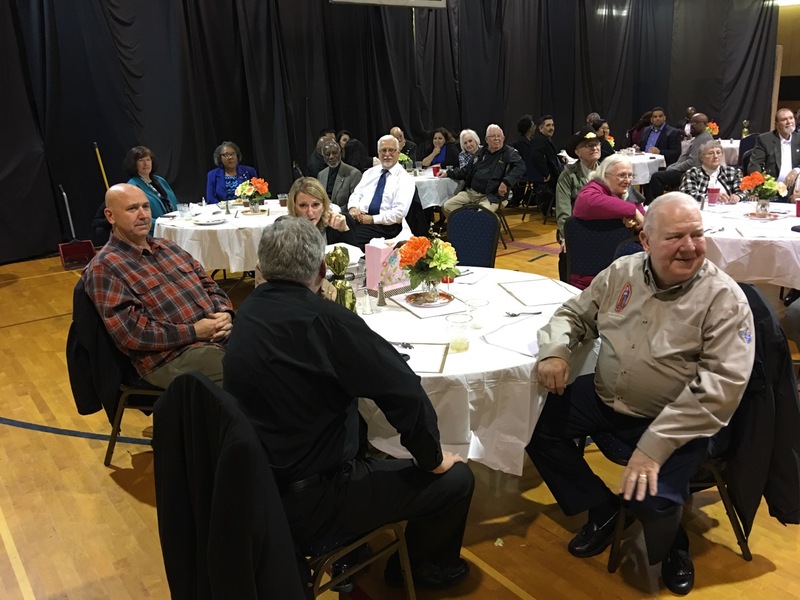 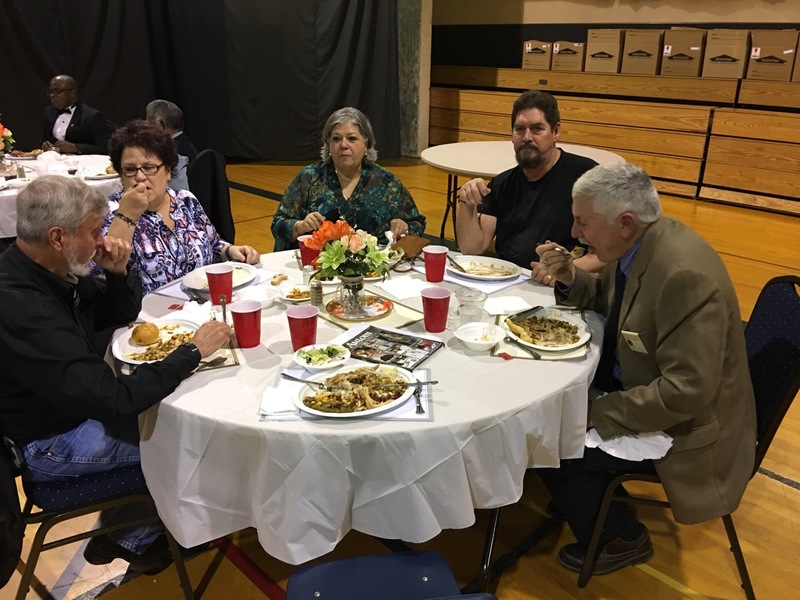 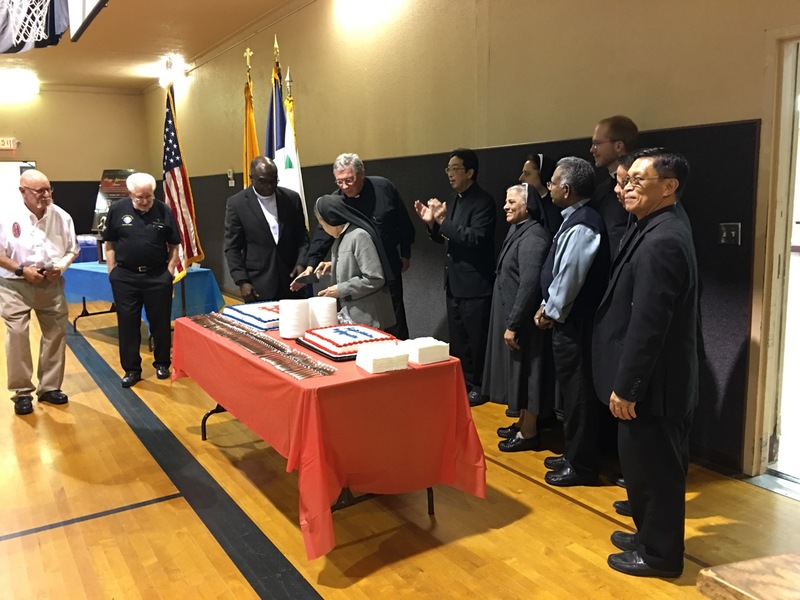 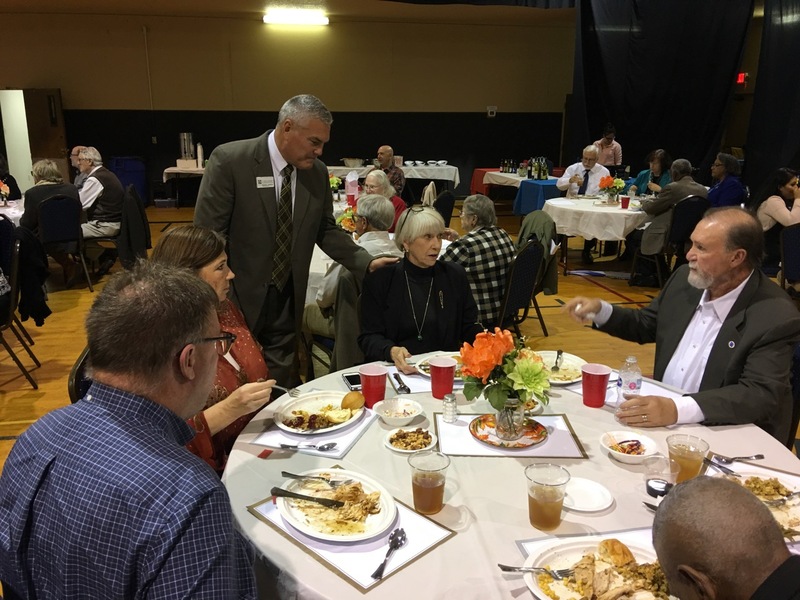 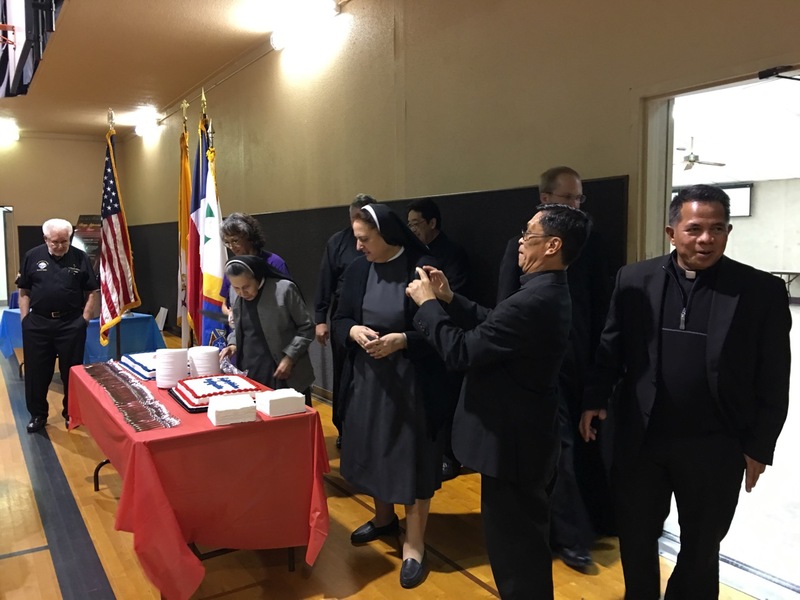 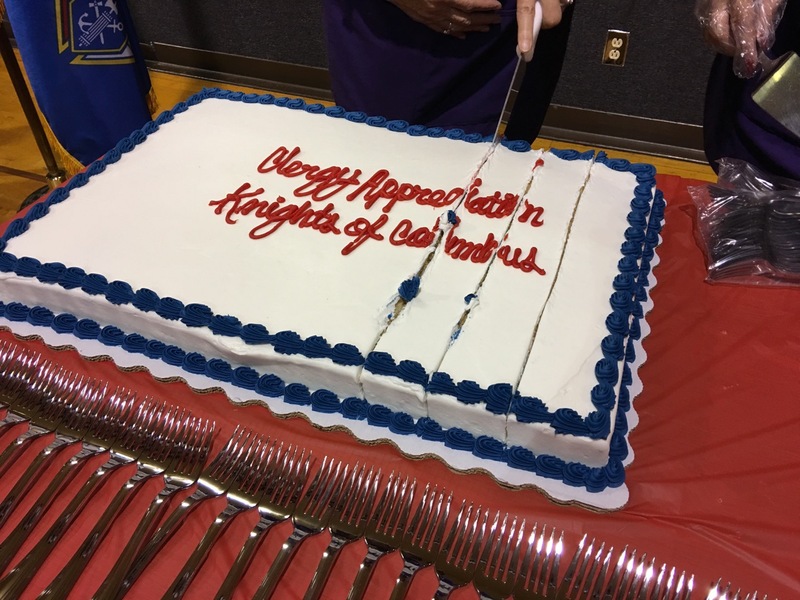 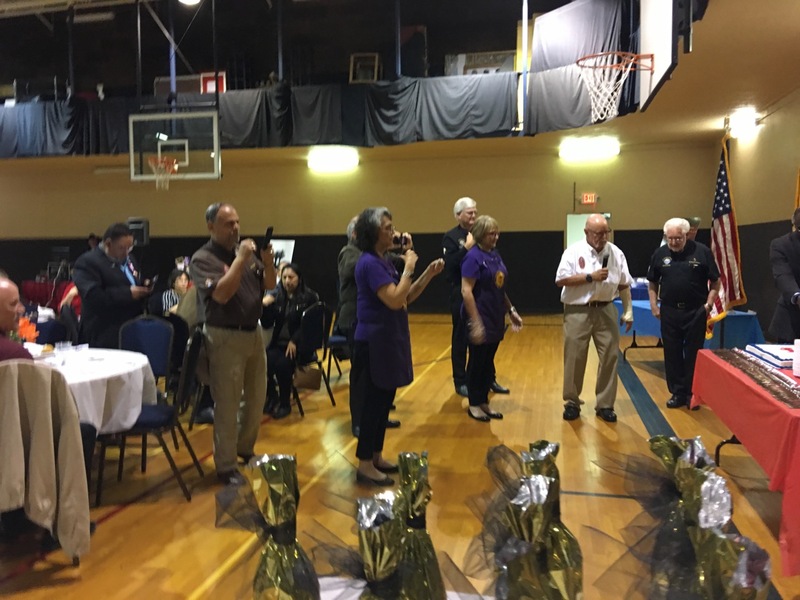 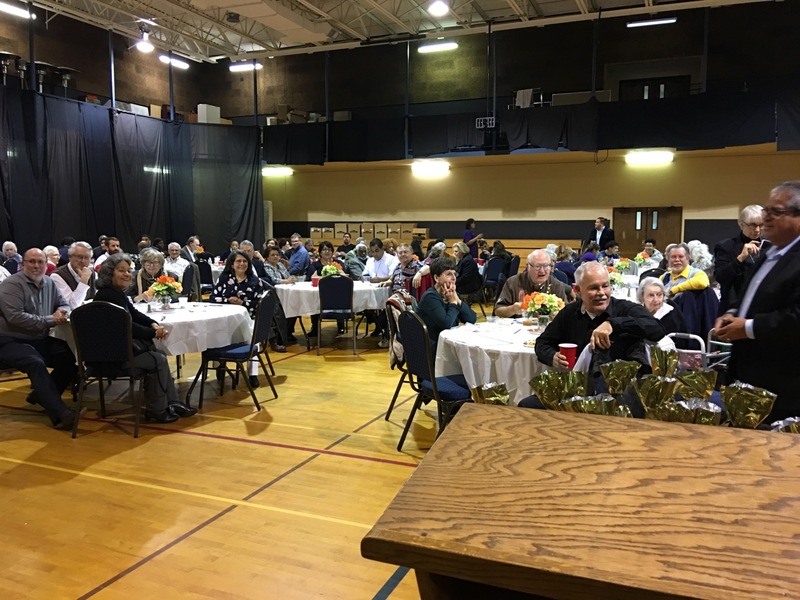 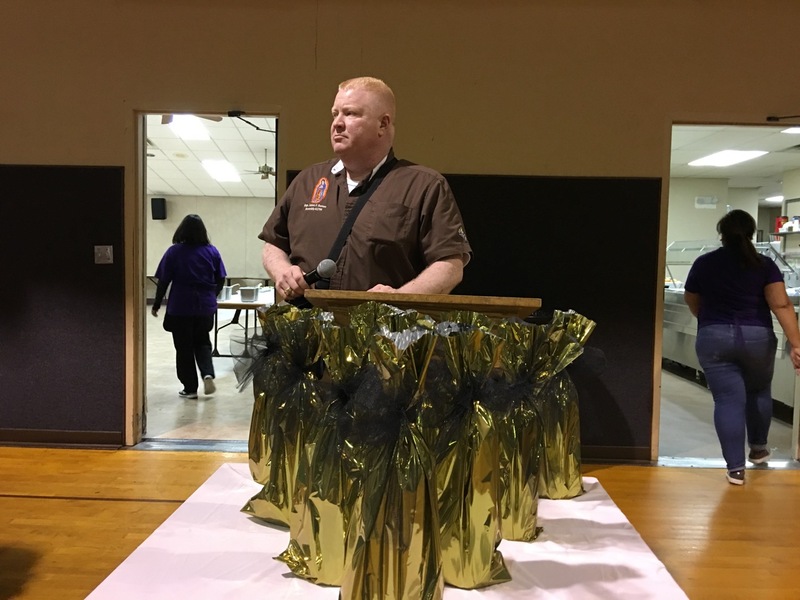 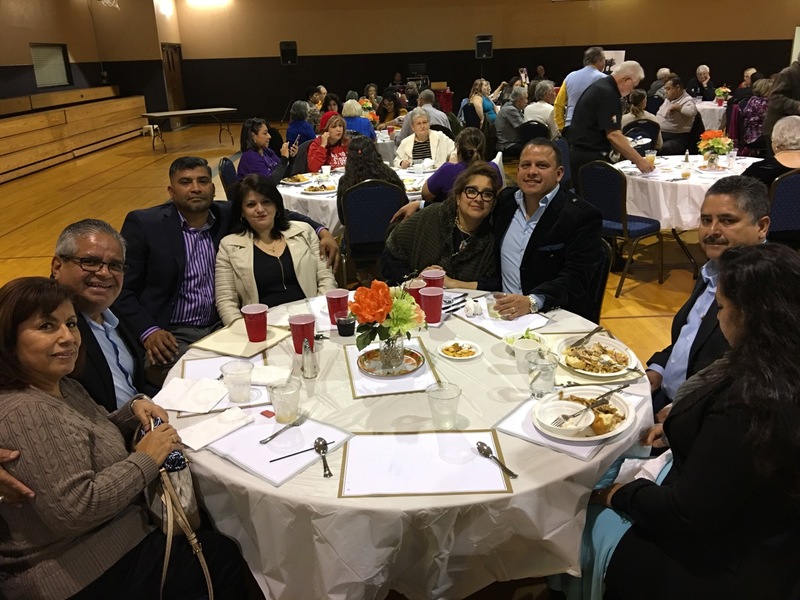 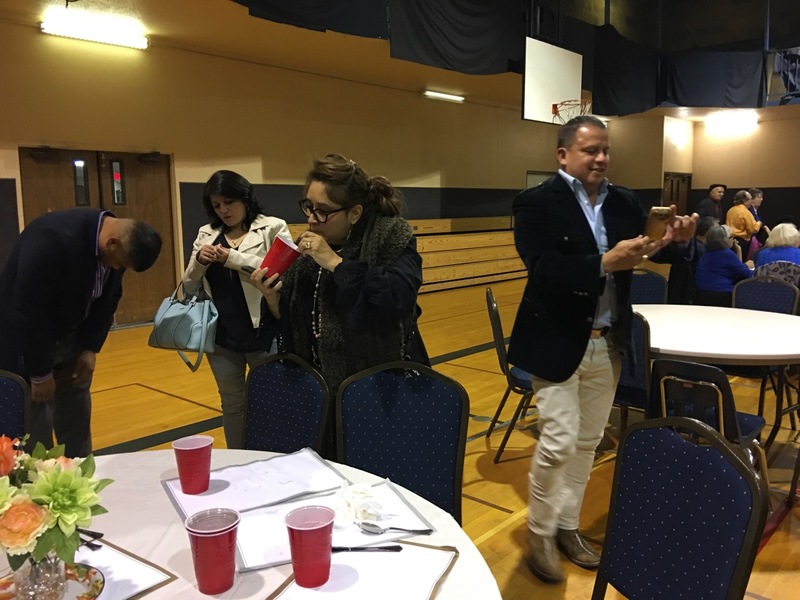 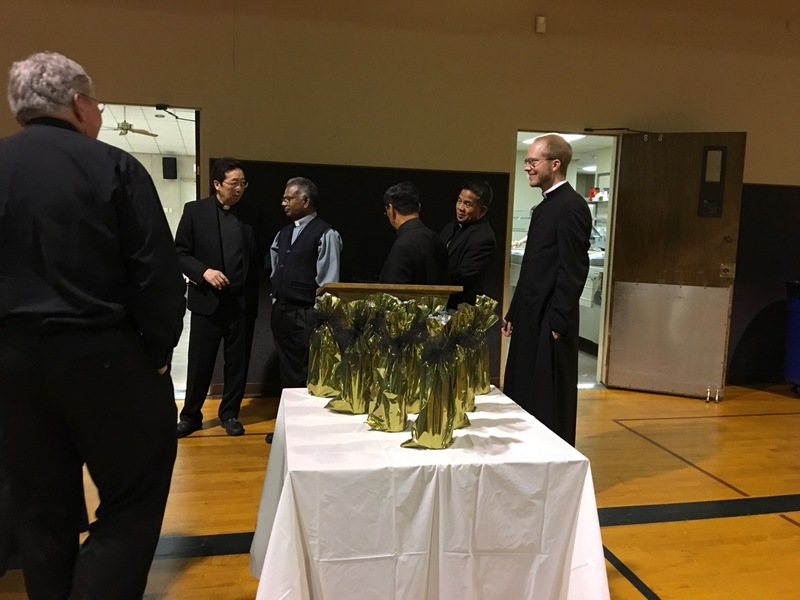 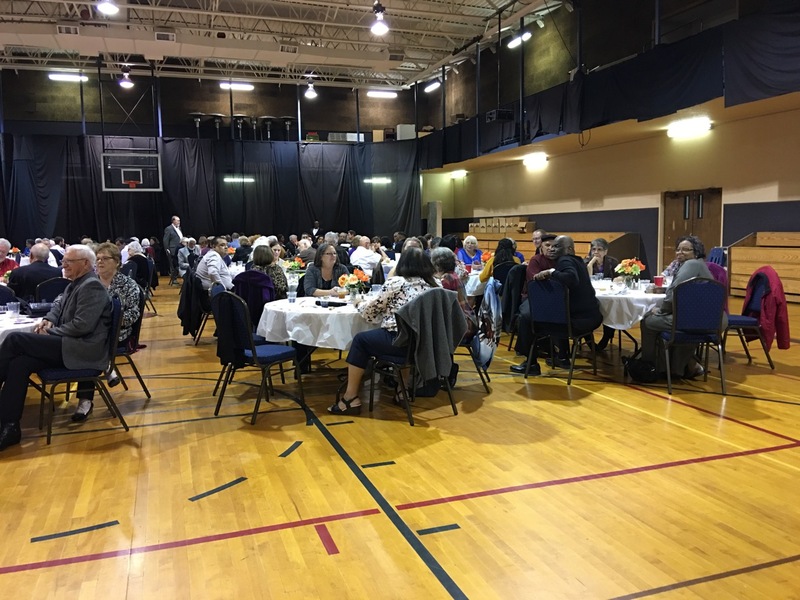 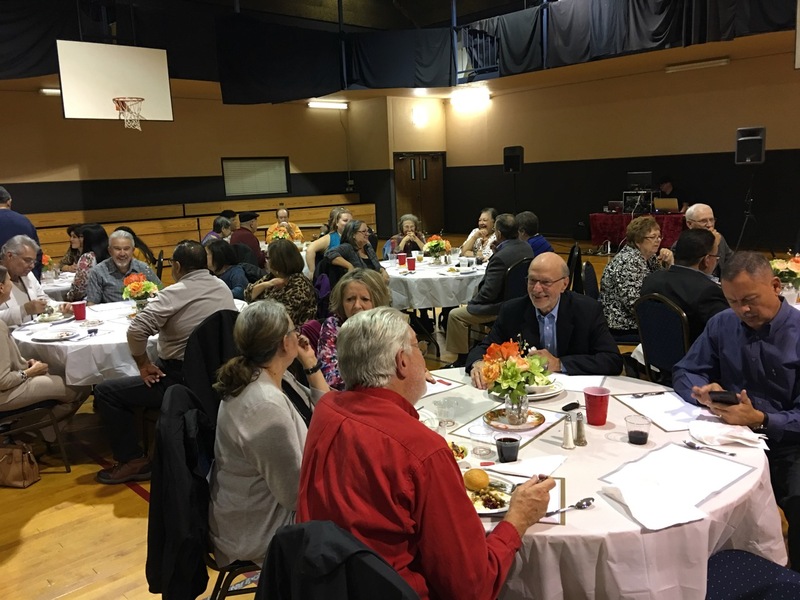 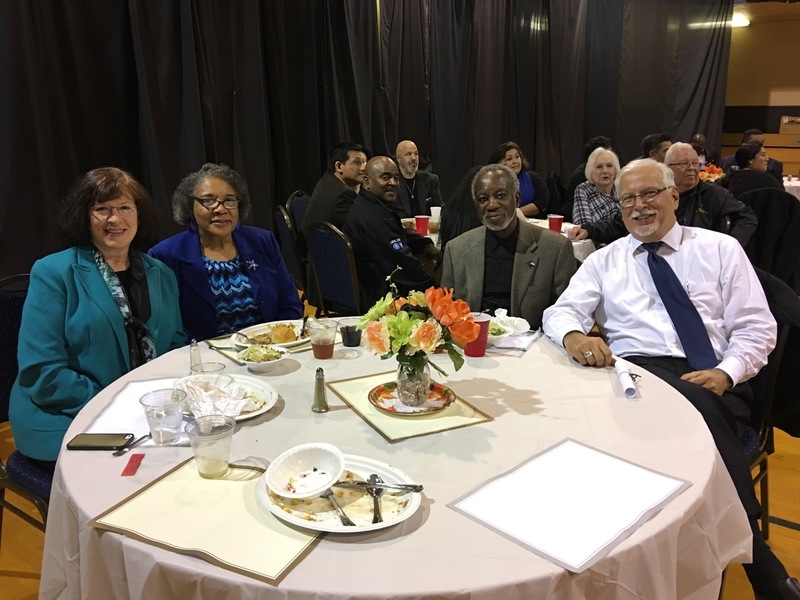 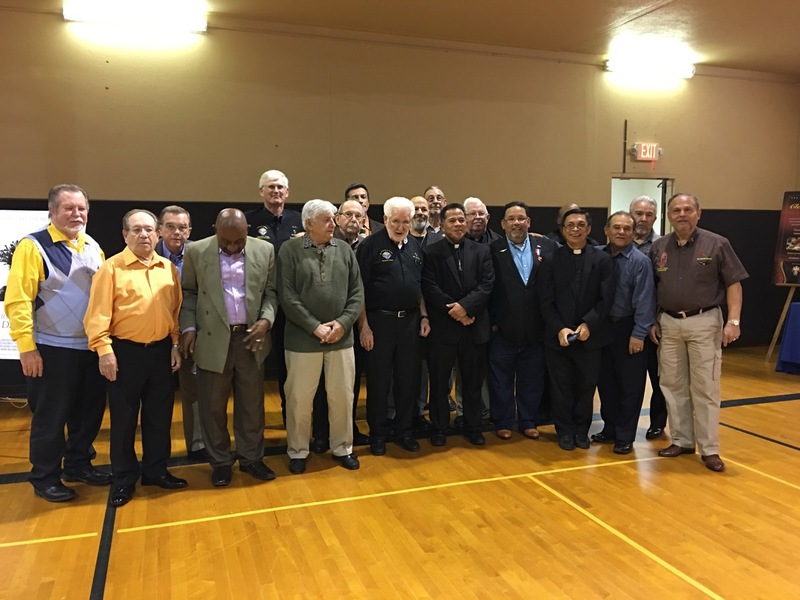 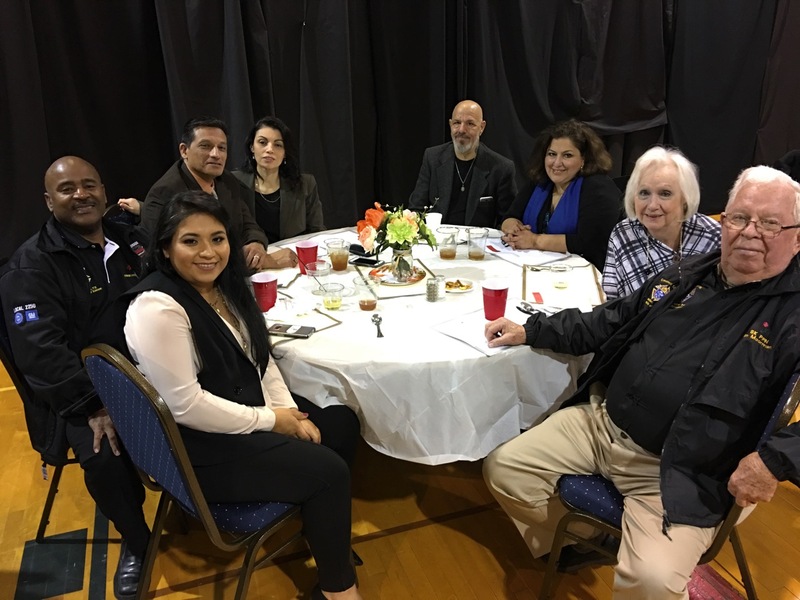 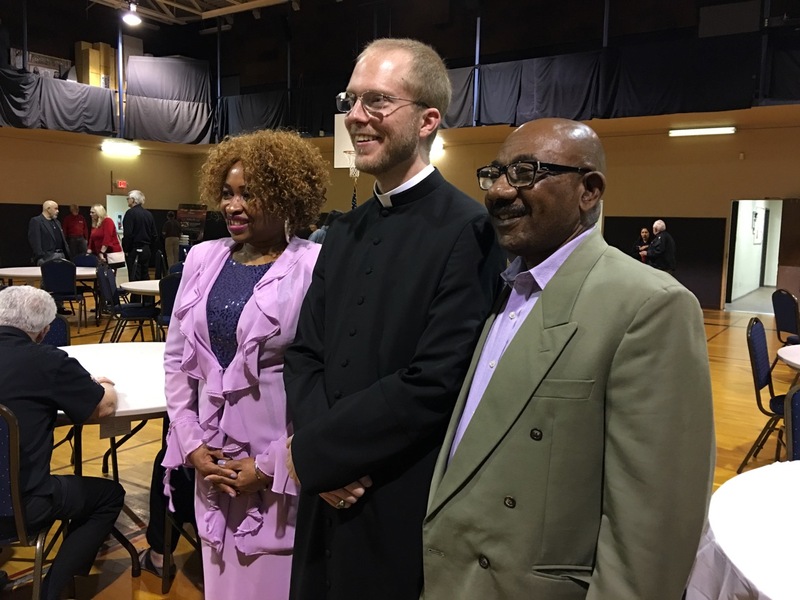 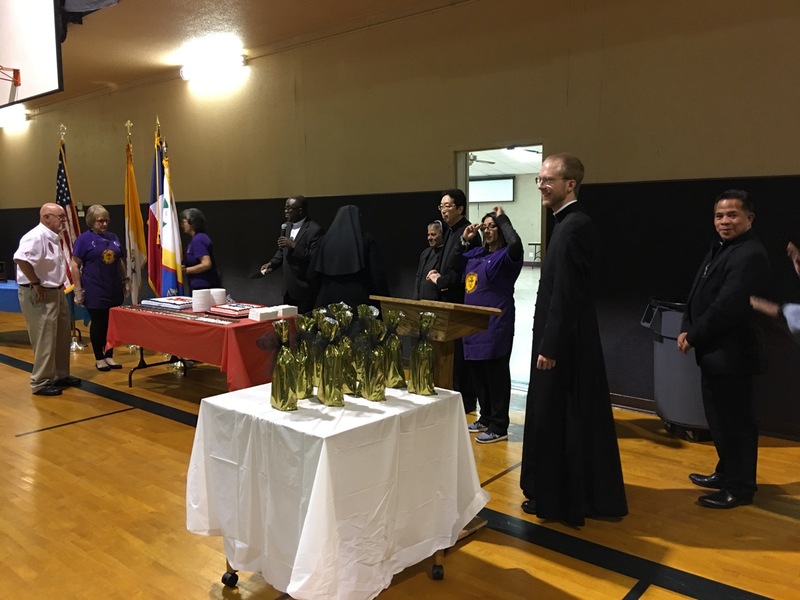 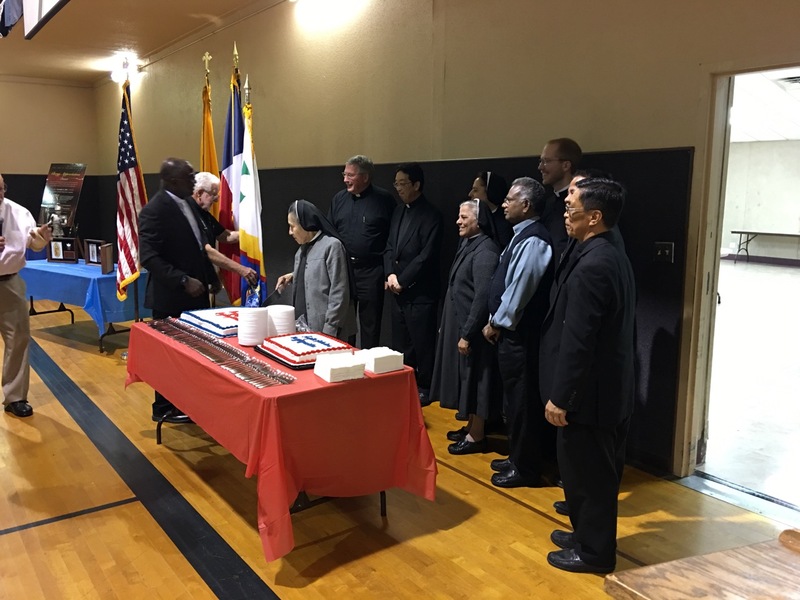 A very successful evening celebrating our clergy for their selfless work in our parishes and our communities took place on Thursday, November 8th, 2018 at Holy Spirit Catholic Church in Duncanville, Texas. 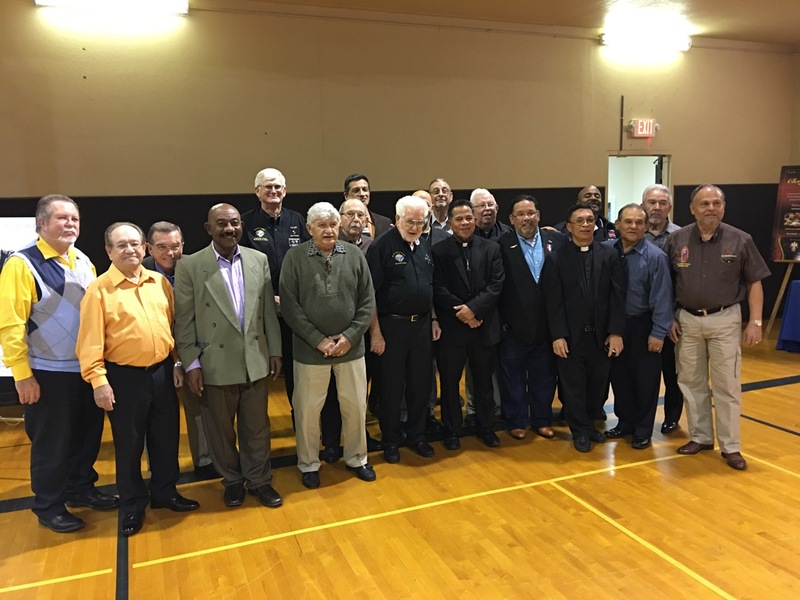 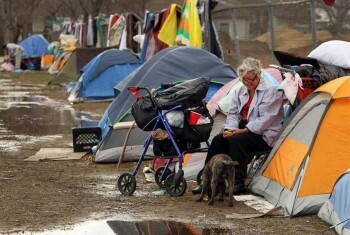 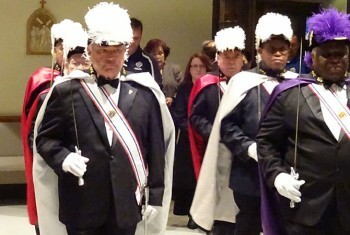 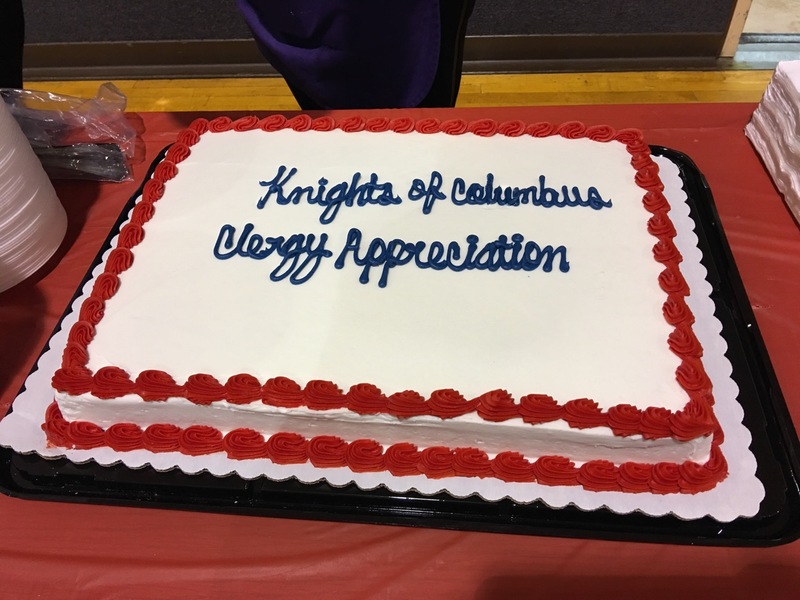 The event has been held annually and is sponsored by the Knights of Columbus Fourth Degree Assembly 2799. 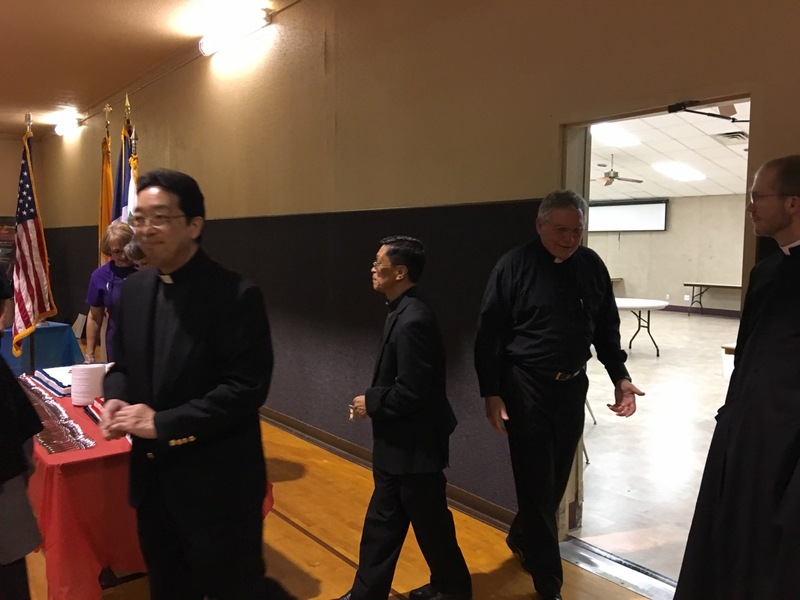 Sir Knight Jim Russell, Faithful Navigator of the Assembly was assisted with Master of Ceremony duties by Sir Knight Andy Goza, who himself is a past Faithful Navigator and currently serves as Dallas Diocese District 109 Deputy. Catholic Daughters of America at Holy Spirit assisted Assembly 2799. 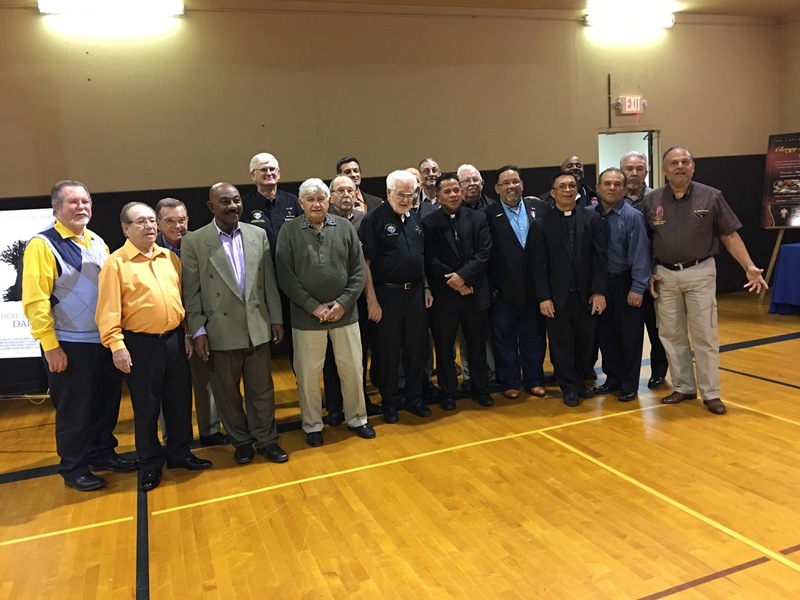 Also assisting this evening were several Fourth Degree assembly members from KofC Council 8157 as well as other councils in the surrounding areas. 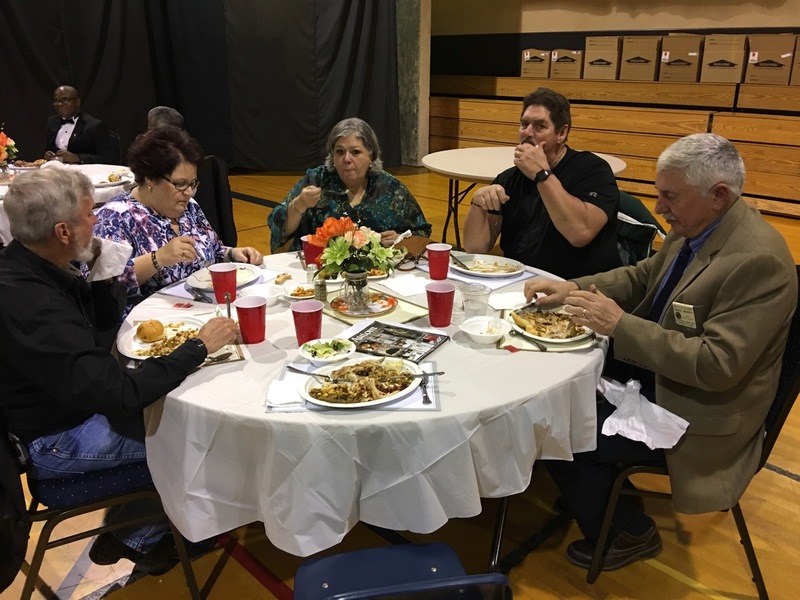 A total of 34 turkeys were cooked for the evening, 26 were baked and 8 smoked turkeys. 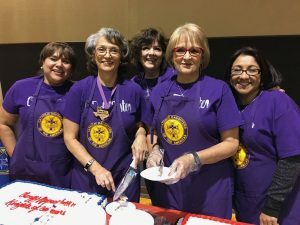 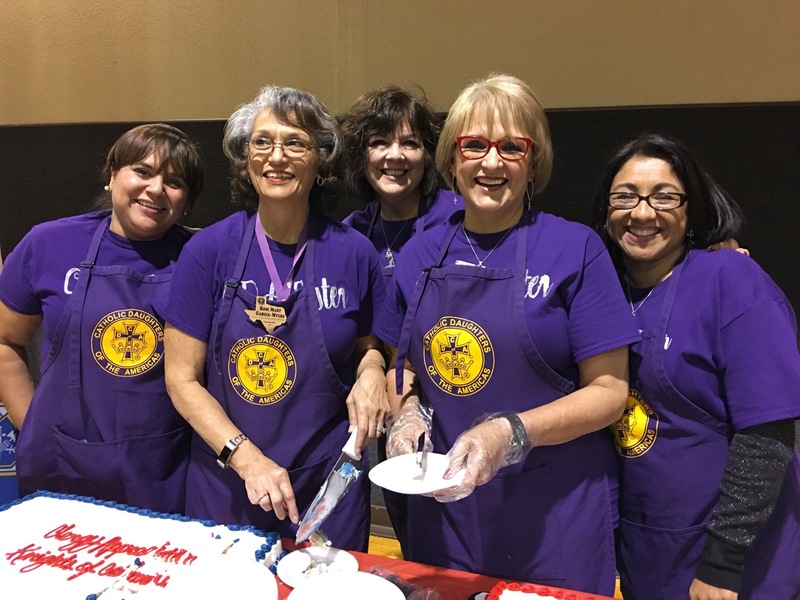 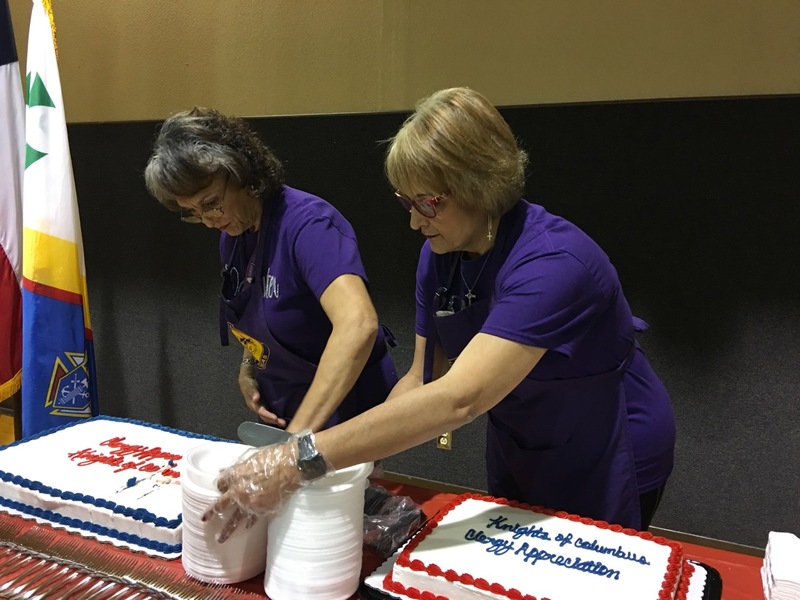 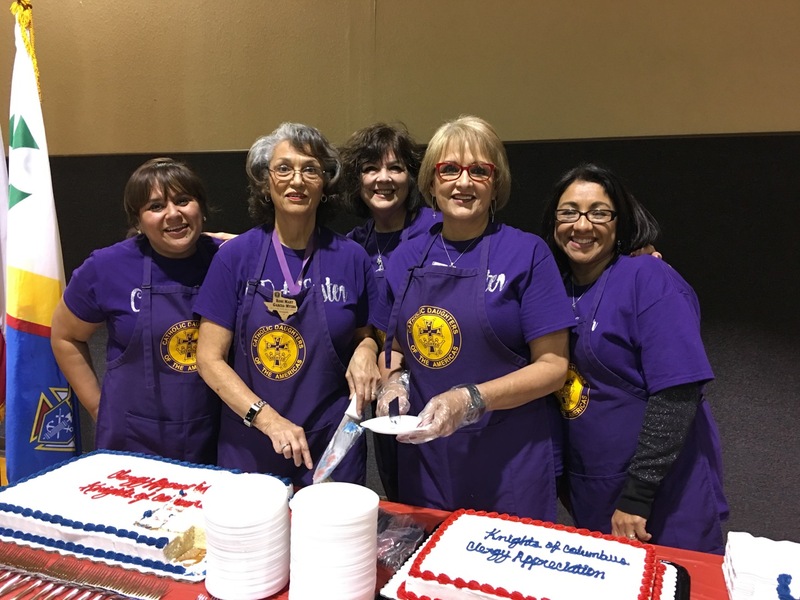 On the serving line and new this year, were the amazingly helpful ladies from Catholic Daughters of America, led by their Regent, Rose Mary Garcia-Myers. 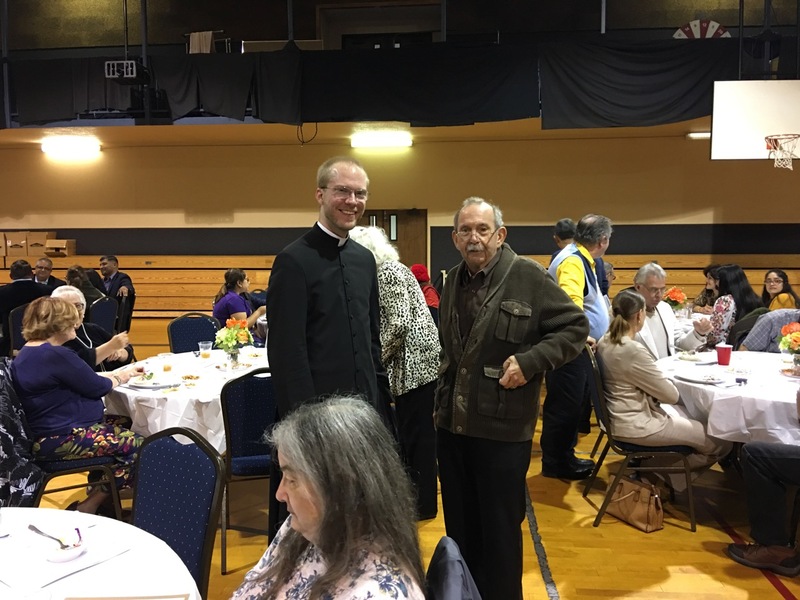 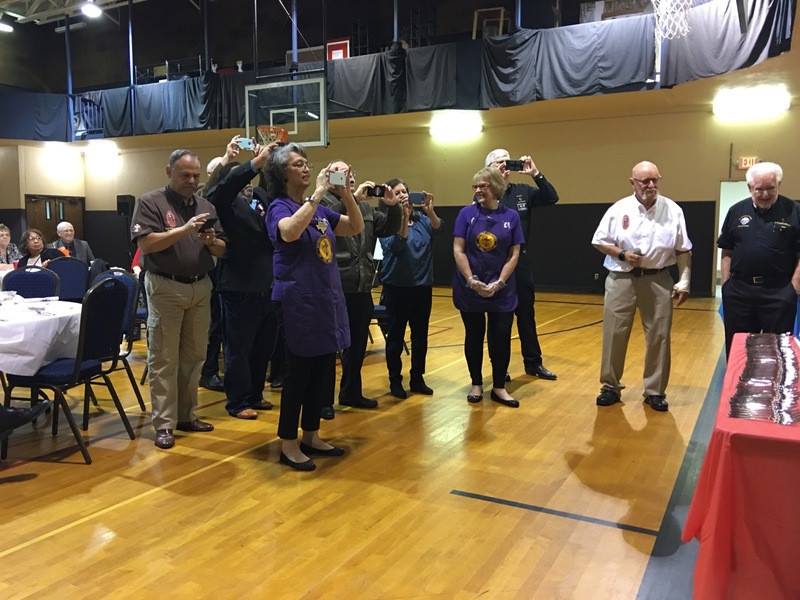 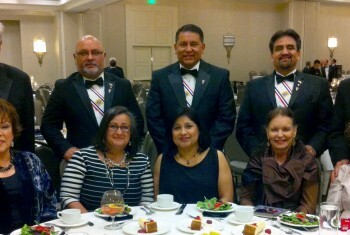 The staff and the Sisters of the Bethlemite Order from St. Joseph’s Residence in Dallas were also in attendance this evening. 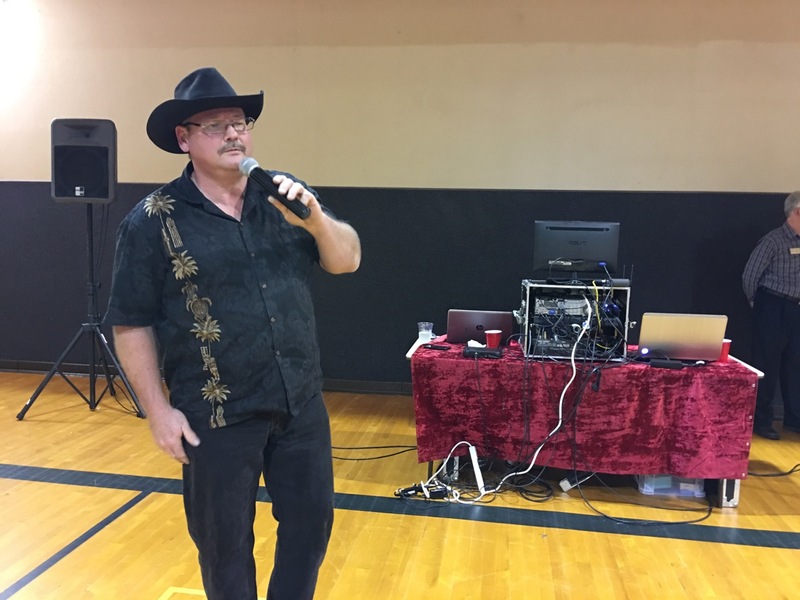 There was live entertainment and wine and beer were served. 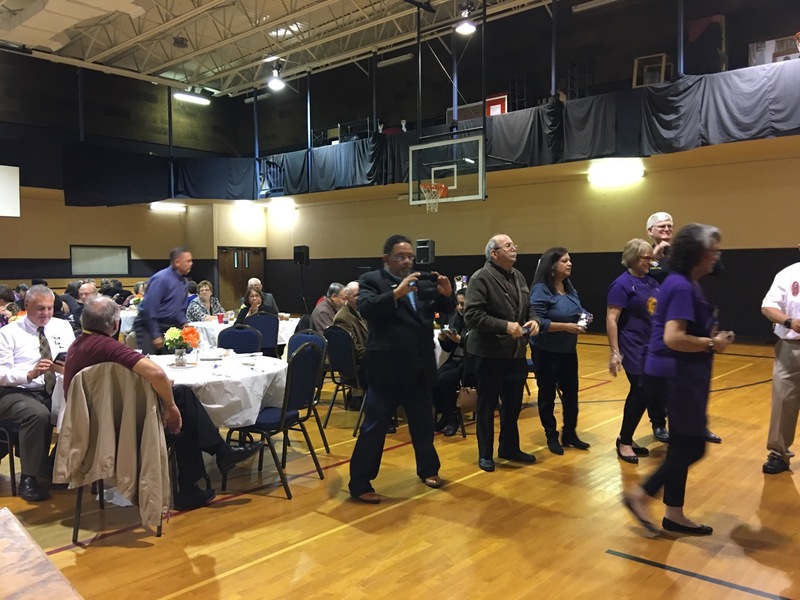 And despite having served a full Thanksgiving dinner to close to 200 people, several turkeys were still donated by the assembly to St. Joseph’s Residence the following day.